I have tried a wide variety of face products and this by far is my favorite! It is just wonderful. My skin is glowy and has never felt softer, not to mention I have had NO breakouts! I've been using this BEROF Skincare product for a week now (BEROF COMPLETE SET). I actually look forward to washing my face with BEROF Milky Lotion Cleanser and BEROF Facial Liquid cleanser! I also love BEROF Sunblock. I will continue to use this product and I highly recommend that you do too! Less than one week, and I'm seeing improvement. You ever have a problem you're trying to solve, and the solution to the problem leads to another problem? I had a birth control implant inserted this summer and was upset to find that my previously clear skin was now starting to break out with acne and blackheads high on my cheekbones. I found myself trying to do my hair in a way that would cover my cheeks as much as possible, and was very embarrassed. 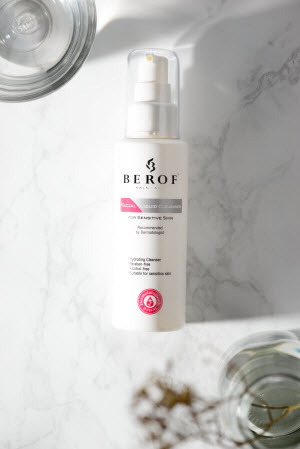 I started looking for a Dermatologist's recommended facial cleansing routine to help me solve my new problem when I discovered BEROF Skincare Products by Dr.AWAIS (Dermatologist). I have been using it for less than a week and am SO pleased with how much it is helping. The acne was getting red and painful before I started using the product and now, while it's still there, it has receded and isn't causing me any discomfort. I can tell that the pores on my nose, which have always seemed large, also appear smaller. 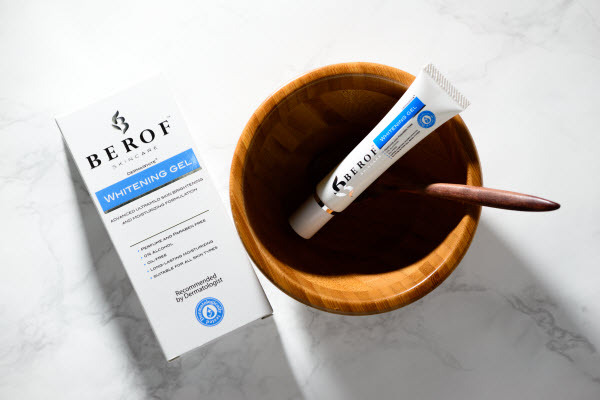 I always washed my face twice a day before (I used Neutrogena for years with no issues), so it was easy for me to slip into the routine of using BEROF Skincare instead of my previous product. So far, I have used all five steps twice a day all. I am so glad I discovered BEROF Skincare. I like the company and the values they stand for and have already recommended the line to a friend who struggles with acne. Best Acne Treatment SET Ever!!!! I cannot believe how well this BEROF Skincare worked. I have tried almost every acne treatment out there, and nothing has ever worked as well as this stuff. I was skeptical at first because I know a lot of beauty gurus and Instagram personalities were pushing it and most of the time those products aren’t that great. But I was so tired of my acne I was willing to try anything. Anyways, I have had pretty bad acne ever since about my freshman year of high school. I am 23 now and because of BEROF, I’m finally acne free!! I’ve been using this system for about a month now but I started seeing results around week 3.
definitely pick up the BEROF Whitening Gel too. I’ve noticed that when I don’t use the BEROF Whitening Gel my forehead gets very tight and itchy. But this stuff works like magic!! I am so happy with BEROF. A few months ago I started noticing a huge increase in breakouts due to stress and especially during certain times of my menstrual cycle. 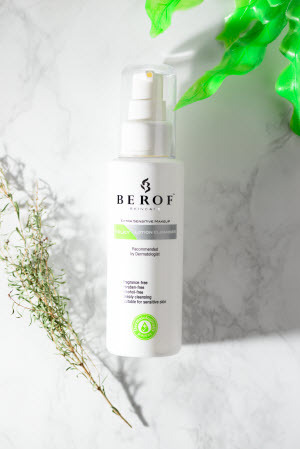 After using BEROF Skincare for a month, I've noticed a significant decrease in the amount of zits that appear, and they quickly resolve themselves. 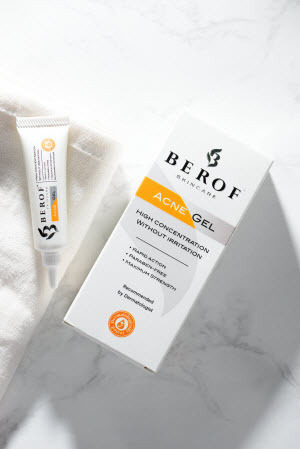 I have gone down to using the BEROF products as a whole only once a day due to sensitive skin, but it still works great and I am still seeing amazing results. I have super sensitive and tend to use high end products because most cheaper ones are too harsh for me or don't do anything. Being able to switch from the Fresh Soy face cleanser to the BEROF Facial liquid cleanser in here is amazing, and the whole steps work great with the rest of my skincare routine (essence, serum, facial oils,etc!). The fact that I can still use the rest of my products without a negative combination reaction is amazing.